Prong collars, also known as pinch collars, are training tools meant to help stop a dog from pulling and obtaining better control. Unlike a normal collar, they're made of metal interlocking links equipped with blunt prongs meant to tighten as the prongs embed into the dog's skin. 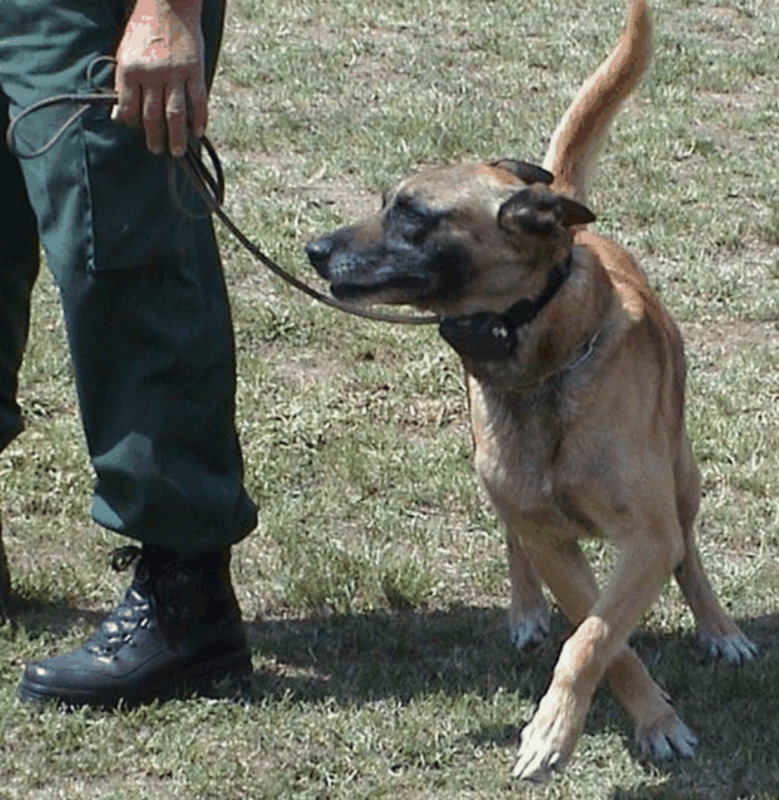 As such, the prong collar is meant to deliver a correction, whether delivered by the handler or as an "auto-correction" derived from the dog's pulling. 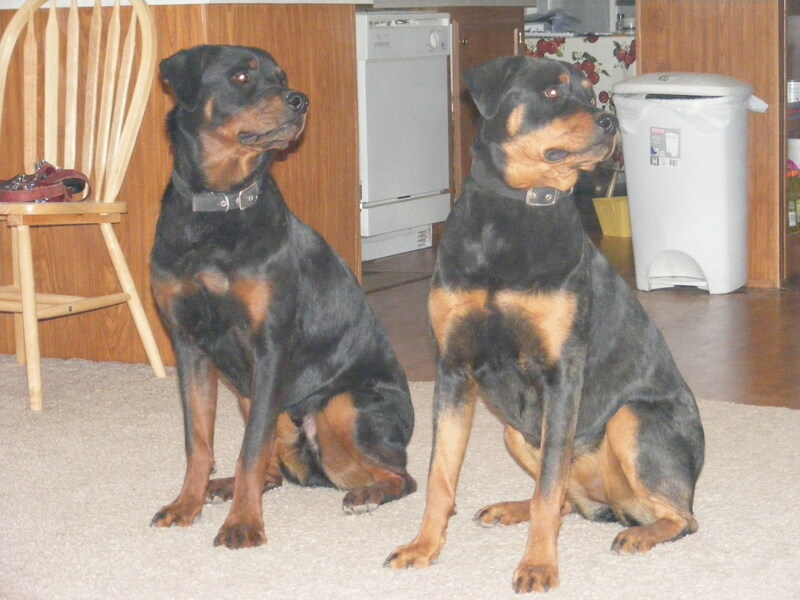 Prong collar proponents often advocate their use because their belief is that it carries out a correction similar to what a mother dog will do to her pups. 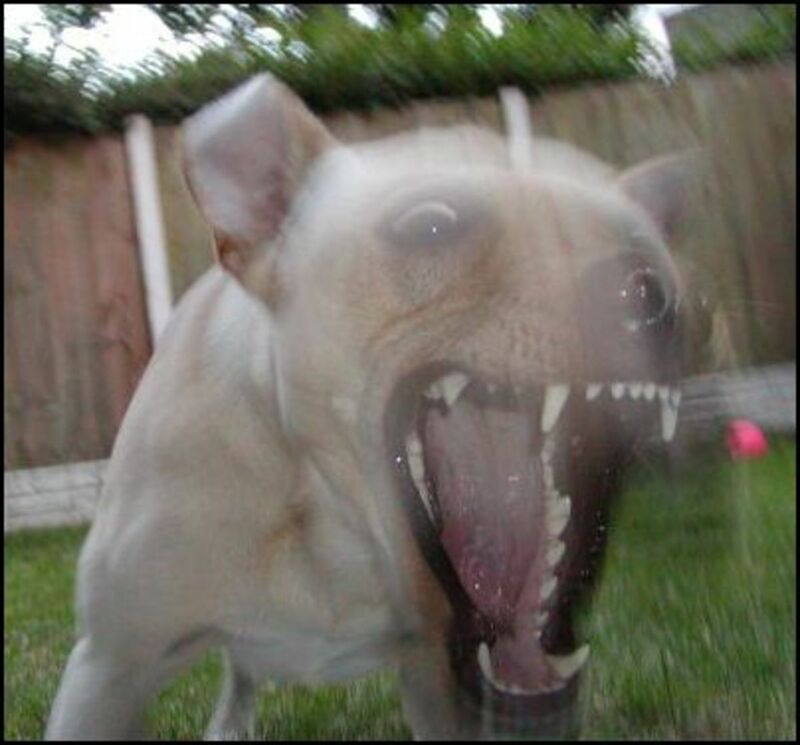 In other words, they believe the prong's effect on the dog's skin mimics when mother dog opens her mouth to correct an unruly puppy with her teeth. Mother dogs first of all, DO NOT use their teeth to apply pressure on both sides of the neck to correct their youngsters. If they did, they would cause considerable harm! Also, unlike a cold, uncomfortable prong collar, a mother is a source of warmth, nourishment and safety for the pups so the comparison in my opinion doesn't hold up at all. Also, it's important to note that they are not harmless as thought; they can cause physical and emotional damage that we will see in the next paragraph. Let's start with the good, prong collar proponents claim that prongs work very well and that it's effect is like power steering. I want to be honest about it: they are right as I must confess I have used them in the past--but would never, ever use them again! The prongs indeed work quite well, but there are many drawbacks, you need to be aware about both at an emotional and physical level. Let's start with the emotional scars the use of coercitive training tools may leave. First of all, a step back into learning theory may help grasp the mechanisms going on here. It's often forgotten that dogs learn in two ways, through operant conditioning and classical conditioning. In operant conditioning the dog learns to associate a certain behavior with a consequence, in classical conditioning, a dog learns to associate a certain stimuli with another. So let's apply learning theory to the use of a prong collar. If your dog lunges towards other dogs, you may feel compelled to deliver a correction, or your dog may get an "auto-correction". In this case, your thought is that Rover will associate lunging with the pain and therefore, should stop lunging. But there's more into that. Lunging is simply an outward manifestation of an internal turmoil. Correction after correction, your dog will learn to associate the presence of other dogs with the pain of the collar. As Bob Bailey states: "Pavlov is always sitting on your shoulder." And I truly believe that because as a behavior consultant, I had my fair share of fixing aggression and anxiety that has increased due to corrections rather than decreasing. The fallouts for using punishment-based tools are there and well alive. It's not rocket science. Imagine say you're terrified of cats. If a friendly cat goes near you, you may stomp your legs loudly and do a hissing sound to scare him off (which is similar to what a dog is doing when, he is often trying to make the other dog away through lunging and vocalizations). Now imagine employing a therapist who slapped you on the face every time you stomped your feet and hissed upon seeing a cat, do you think that would ultimately remove your fear of cats? Not at all, you may actually have an increase in fear, because not only do you have to worry about the cats, but also of being slapped in the face! And of course, you would also definitively change therapist! Dr. Soraya V. Juarbe-Diaz, DVM, DACVB, CAAB, explains “I can stop any behavior, but I am more interested in teaching my students, animal or human, to choose the behavior I want them to perform because they can trust me, because I do not hurt them and they are safe with me, and because the outcome is something they enjoy. Mistakes are inherent in any type of learning — if I continually frighten or hurt my students when they get something wrong, eventually they will be afraid to try anything new and will not want to learn from me any longer." Back in time, oddly prong collars were offered as a better option than choke collars, but the truth is that they can also deliver damage and aren't as innocent as thought. Jim Casey, a Mechanical Engineer explains in "Barks from the Guild" how when a dog pulls against a collar he's capable of exerting more force than his own weight, especially if he's running at the end of the leash. With a flat, regular buckle collar he estimates an 80 pound dog to exert a contact force of approximately 5 pounds per square inch (psi). With a nylon chock collar, we're talking about 32 psi, and drum roll please, an astounding 579 psi when a prong collar is used, which greatly increases the risks of injury to the dog. This explains why Austria and Switzerland have banned its use and why many dog trainers, behaviorists and veterinarians are concerned about their use. Veterinarian and thyroid expert, Dr. Jean Dodds claims that prong collars can easily injure a dog's thyroid as well as the salivary glands and salivary lymph nodes. The Extra Good, There are Better Ways! One of the things that irritate me the most as a trainer is that half the people who use prong collars, don't even have a clue how to fit them correctly and how to use them. I have seen people using prongs report to me that the prong fell apart and came off, then I have seen people yanking them without even teaching the dog what to do to avoid the yank and how to get out of the correction. Obviously, I am not a proponent of prongs and have abandoned their use several years ago, when I found better ways to control powerful dogs and train them appropriate behaviors. Because prongs, choke and shock collars, don't teach, they only correct. James O’Heare, professional Animal Behavior Consultant, claims the use of "choke chains, prong collars and other devices prong are "a Band-Aid solution that, again, does not address the actual problem". Their use can result in depression, disempowerment, redirected aggression and deterioration of social relationships to just name a few. "Were people to understand more about how dogs communicate and how these collars work, they would appreciate that responses other than pain and pressure are more desirable for changing an animal’s behavior" explain M.Ed., C.C.B.C., CPD Angelica Steinker and Niki Tudg CPDT,E- NADOI, CBC,PDT, DIP and founder and owner of The DogSmith, in an article for the Pet Professional Guild. "For every situation which clients claim control is provided by a prong collar, a head collar is the better, safer and more humane choice, although it requires some investment of time to use correctly." Indeed, they do require time, and they should be used only under the direction of a professional in my opinion. Too many people misuse them and have no clue what they're doing with the end result of causing injuries. Also, not all dogs are a good candidate for head collars as they can require loads of desensitization and may result in subdued behavior. So what are better ways? I am a big proponent of front-attachment harnesses, such as The Easy-Walk Harness, Sensible Harness and Freedom Harness, but not as a long term solution. My ultimate goal is to teach a dog to walk on a loose leash using a buckle collar. If I find at the end of classes, dog owners are still depending on training aids, I know I have failed somewhere or the client hasn't followed through. To read more about how I deal with dogs lunging towards people and other animals, read my article "Force-free methods for training a dog to walk politely on a leash" As a Proud Member of the the Pet Professional Guild I don't use choke, prong, shock collars or aversion-based training methods that were popular decades ago. Reference: A. Steinker and N Tudge Health Concerns Call for Equipment Change in Dog Training. October 2012. First Published in Barks From The Guild – The official publication of The Pet Professional Guild. Konrad Lorenz said that science and know-how aren’t enough in dog training; patience is the vital stuff. Reputable Trainers Explain How to Use a Prong Collar Correctly! Wondering how to use a dog shock collar correctly? Learn what a dog shock collar is and its effects, and follow the trainer's video on its correct use. How to tell the difference between a reputable trainer and a not so reputable one? The path to becoming a dog trainer takes more than training a dog or two and printing out some business cards. Should you use rewards or punishment to train your dog? 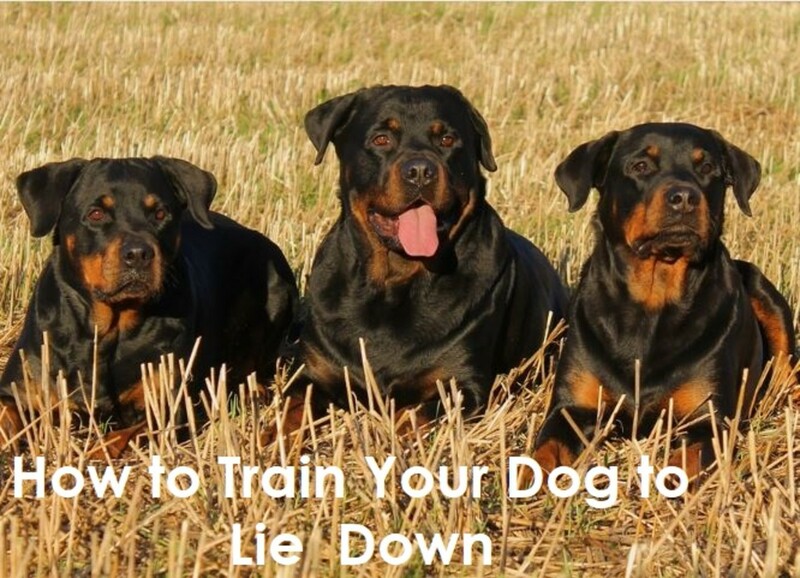 Read my observations as a force-free trainer and learn why your dog may not respond to punishment and its fall-outs. What are positive trainers and what do they do? Why are they sometimes called cookie trainers, bribery trainers or pure positive trainers? Learn some of the most common misconceptions that revolve around the world of humane, force-free training. 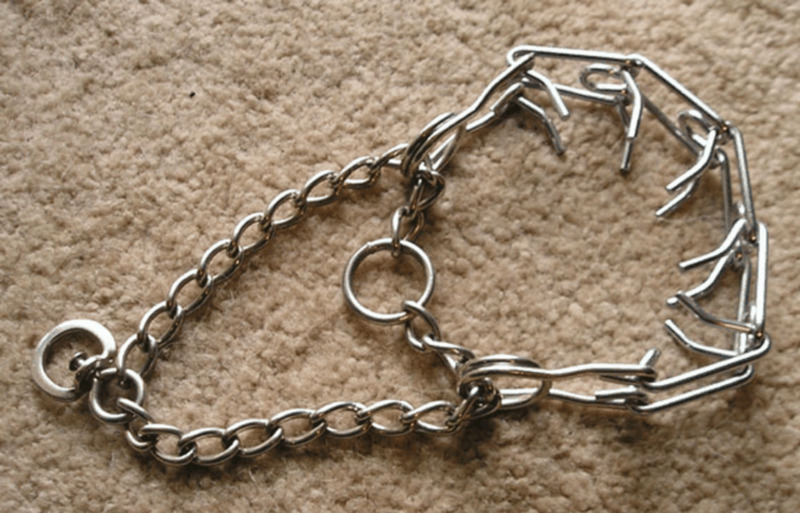 Prong Collars: would you use them? No, there are better ways! I have bred 5 litters so far, and must say that I never caught the dam actually biting on the puppy's neck. If the pups where ever too boisterous, she would push them away, sometimes this caused her to roll them over, or give a little warning growl. She does play bite during play, nibbles with her teeth on their fur to clean them and makes growls or barks at times, but no, no neck biting. I guess I am blessed with very patient moms here! Most dogs will move away when their puppies try to suckle, give a growl or just nudge them away. If they use their teeth it's certainly inhibited and not meant to hurt them or to tear into the skin, just like you say. Mother dogs have accurate control of their jaw force and placement of their teeth which is different from a human giving a prong collar correction. 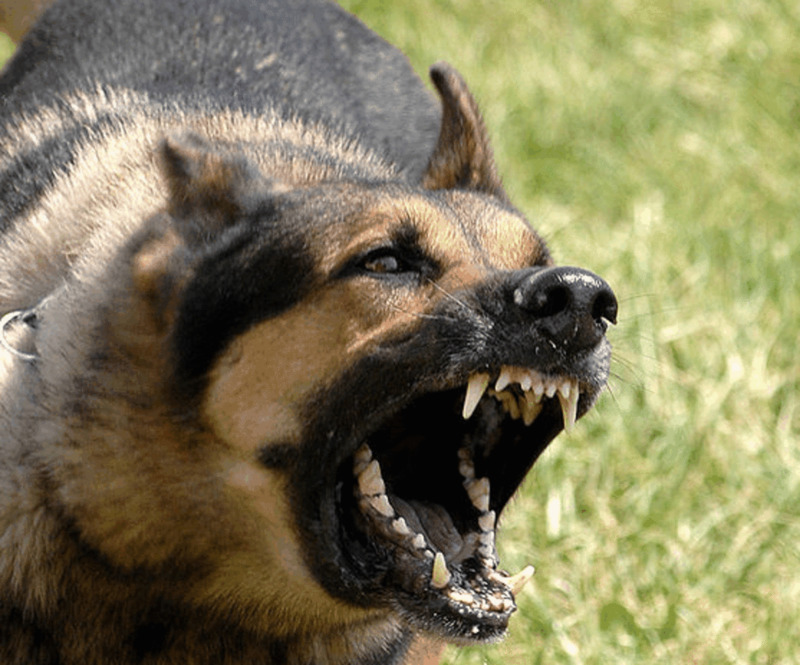 They don't use their teeth to punish as we would do with a prong collar; rather, they use their teeth mostly as a means to move the pups away and carry them from place to place since they don't use hands as we do. Most moms will simply just nudge them away with her nose. Sometimes, you may see a mother muzzle grab, but that's not biting, mostly just an inhibited grab again to move the pup away. This is why they won't hurt them. Now, moms that maul their puppies that's a different story..either the puppy has something wrong in the health department otherwise those dogs should not bred in the first place! It's sad to hear you have seen plenty of mother dogs do that. The mother dog doesn't use her teeth? Oh really? So when the babies are teething and go to suckle on the mommy's teets the mommy will just ask politely for tge babies to stop, huh? Sure, the mom doesn't tear into the babies, but she certainly uses her teeth if it's necessary to make the babies stop trying to suckle... In really bad scenarios, i have seen plenty of mothers maul their own babies... But, most know their own force and some are too young that they don't.
" Jim Casey, Mechanical Engineer, explains that, “A dog can pull against its leash/collar with more force than its own weight and can exert even more force if it gets a running start before it reaches the end of its leash. Considering a typical flat collar, an 80 pound dog can cause a contact force of approximately 5 pounds per square inch (psi) to be exerted on its neck. This force increases to 32 psi if a typical nylon choke collar is used and to an incredible 579 psi per prong if a typical prong collar is used. This represents over 100 times the force exerted on the dog’s neck compared to a typical flat collar greatly increasing the possibility of damage or injury to the dog." Where do you see this information Mike? Are you referring to the PSI? I can give you the source of that info if you want to review it. I don't see where 500 pounds are mentioned other than the PSI. My article is full of factual information, please tell me exactly where the misinformation is so a fair debate can take place. As a trainer, I used the prong correctly a few years ago, and know for a fact that in order to work, there must be some level of discomfort. Why use that when a front-attachment harness can accomplish the same thing? I ditched all my prongs and replaced them with a harness. I, too, prefer the front-attachment harness, but I never quite understood just how harmful the prong-collar was. As a dog-walker I'm required to use the collar suggested by the owner, so I've used prong collars a lot. I'll be looking into the best way to use them while avoiding injury. Thank you. Thanks Eiddwen for stopping by. Years ago a local trainer told me to use a prong collar on my Rotts and while it felt like power steering and worked quite well, I felt I had to find a better way. Now, my prong collar makes a nice key holder by the door. I also believe that anything that hurts an animal can only be wron. Thank you for sharing this one. Enjoy your day. Anything that hurts the animal cannot be teaching the right lesson. Thanks for stopping bye GiblinGirl, your insights are always appreciated! Very eye opening. I don't use a prong or choke collar, but I have heard of them. Voted up and useful. People still use those!? Insane.